The determinants that underlie a healthy or unhealthy pregnancy are complex and not well understood. We assess the relationship between the built environment and maternal psychosocial status using directly observed residential neighborhood characteristics (housing damage, property disorder, tenure status, vacancy, security measures, violent crime, and nuisances) and a wide range of psychosocial attributes (interpersonal support evaluation list, self-efficacy, John Henryism active coping, negative partner support, Perceived Stress Scale, perceived racism, Center for Epidemiologic Studies—Depression) on a pregnant cohort of women living in the urban core of Durham, NC, USA. We found some associations between built environment characteristic and psychosocial health varied by exposure categorization approach, while others (residence in environments with more rental property is associated with higher reported active coping and negative partner support) were consistent across exposure categorizations. 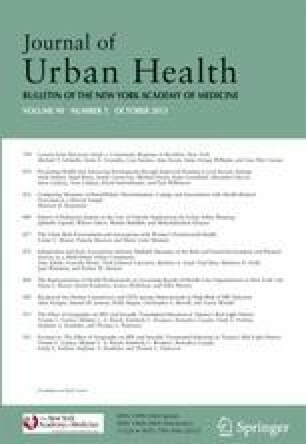 This study outlines specific neighborhood characteristics that are modifiable risk markers and therefore important targets for increased research and public health intervention. This work was supported by a grant from the US Environmental Protection Agency (RD-83329301).